Welcome to April 22, otherwise known around the world as Earth Day. First celebrated 46 years ago, this annual event is a day where people from California to Sydney are encouraged to come together and channel energy to help the environment become even more beautiful and sustainable. Plant a tree: For 2016, the Earth Day Network is encouraging everyone to help the foundation by planting trees. From now until the 50th anniversary in 2020, the goal is to plant 7.8 million trees to help our planet recover from pollution faster. When planting yours, we recommend involving your entire family, from old to young, so everyone can contribute. You can even make it a friendly competition between family members to see who can plant the most. Clean up and recycle: Clutter, junk mail, old technology and various plastics tend to build up in and around your loved one’s homes, leading to billions of tons of litter in our oceans and landfills. By taking the time to go through your and your loved one’s belongings, and recycle what can be recycled, you can help in a universal effort to reduce our unusable garbage. Buy local: For busy families and elderly individuals, grocery stores are convenient solutions for produce and other perishable goods. However, by the time they’ve reached the store, foods have typically lost nearly 45 percent of their original nutrients, and the energy needed to ship it produces damaging CO2 emissions. By shopping local for your produce, you’re not only getting more nutritious food, you’re helping reduce the lost energy needed to bring produce to grocery stores. Too busy to handle this for your loved ones on your own? Senior companion care services can help with local groceries so your loved ones can celebrate Earth Day with tasty and sustainable produce. Garden and compost: Gardening has been proven to help adults age better, but did you know adding composting to the activity can help you and the planet at the same time? Each year, billions of pounds of food are simply thrown away, this equates to one third of all food produced for the entire human population. Composting with food scraps, leaves and grass can not only help your garden grow, it can help the planet reduce its overall landfill spread. 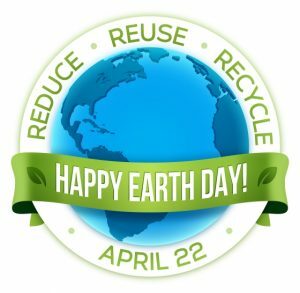 While these tips can help, we encourage you and your entire family to find fun and interactive ways to embrace Earth Day now and for the rest of the year. While getting everyone involved, including the older individuals in your life, may seem tough, it doesn’t have to be. Every day, we connect with people just like you to help them overcome the challenges of acting as a caregiver. To get the help you’re looking for, make sure to “Just Ask FirstLight” for questions relating to home care, illness, and even activities for seniors.